IMPORTANT!! WWELVIS ORDERING POLICY!! WORLDWIDE ELVIS carries hard-to-find items from unusual countries and we are USUALLY the only ones doing so and we specialize in this. We do NOT claim to have the cheapest prices nor are we the most expensive Elvis mail order organization around. 1) PLEASE, before you order from us (or from any other dealer!) do your homework first. Always look around for the best price. This is what we assume when you place an order with us for a specialty item that is LIMITED like the UK vinyl releases and unusual countries' CD releases. We assume that you will be honorable and not change your mind at the last minute. This is not fair to us or other customers who may have wanted to order it but we had reserved it for you. By ordering it in advance with a credit card, you are giving us the right to charge your card when it comes in. a) It's been less than 2 weeks since you've ordered the item (s). Customers living overseas - 3 weeks. b) You contact us first! DO NOT simply send back the item unless you call or e mail us. IMPORTANT!! Please give the reason you want to return it! c) All returned items MUST be insured! 3) We WILL NOT accept a return of any item that has been opened! In other words, if it's SEALED, leave it that way. WHAT IS WORLDWIDE ELVIS? Welcome to WORLDWIDE ELVIS! Although we have been selling Elvis records (and now CD's) since 1974, we are entering our 4th year of doing business on the internet with this web site. If you have taken the time to look at this site you'll notice that we specialize in BMG Elvis Presley records and CD's and also some books, especially those related to the hobby of collecting vinyl and CD's. WANTED!! I am always looking for UNRELEASED audio, video, 16mm films or kinescopes of 50's, 60's, and 70's material such as LA HAYRIDE shows; BIG D JAMBOREE radio shows; 1961 MEMPHIS concerts; home recordings - any era; etc. etc. If you have anything like this or know of someone who does please contact me at (paul@worldwideelvis.com). If anyone who lives in the following countries has a web site that they think would be a good addition to my LINKS page, please let me know; BRAZIL; CHILE; DENMARK; ENGLAND; FRANCE; GERMANY; GREECE; INDIA; ITALY; JAPAN; MEXICO; NEW ZEALAND; SOUTH AFRICA; or any other country. My suggestions to anyone who is beginning a site is to first have most of it in English and then to try and have most of it dealing with items (such as records, CD's, magazines, etc) from your country. 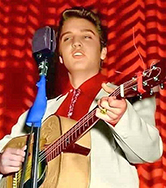 NOTE TO VISITORS: If anyone is visiting this site especially from Bolivia, Colombia, Cuba, Ecuador, Egypt, Jamaica, Mexico, Turkey, or Venezuela please e mail me paul@worldwideelvis.com) as I am looking for records and CD's from these countries.